Patrick Comerford: Which Earl of Lichfield gave his name to ‘The Drum’? his name to ‘The Drum’? 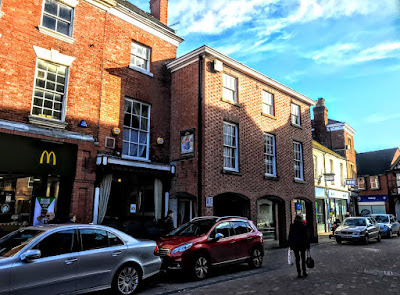 Since my visit to Lichfield two weeks ago, I have written about a number of pubs and former pubs that are of architectural and historical interest, including the Scales on Market Street, the former Castle Inn on Market Street, and the Three Crowns on Breadmarket Street, once patronised by Samuel Johnson, who was born next door. 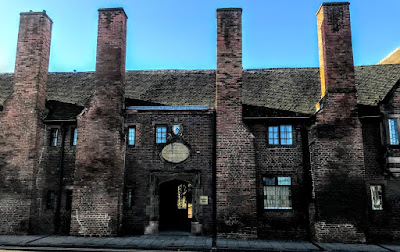 But some readers have asked why I have not yet written about the Earl of Lichfield Arms on Conduit Street, known to many people in Lichfield as the Drum. This is a cosy, traditional, friendly local pub, with a secret beer garden at the rear, right in the centre of Lichfield, tucked into a pretty narrow space between a bank and a certain ubiquitous fast-food business. The main bar area is long and narrow, with a space at the far end for the regular open mic nights and live bands that perform here. As well as the real ales, the pub also serves a variety of food and meals. The Earl of Lichfield Arms has been described as ‘one of the most compact pubs in the whole of Staffordshire.’ It is known locally as the Drum, after the drum used in the 1830s by recruiting sergeants who tried to press gang vulnerable young drinkers into the army. The seemingly modern rebuild at the front tends to mask its age. 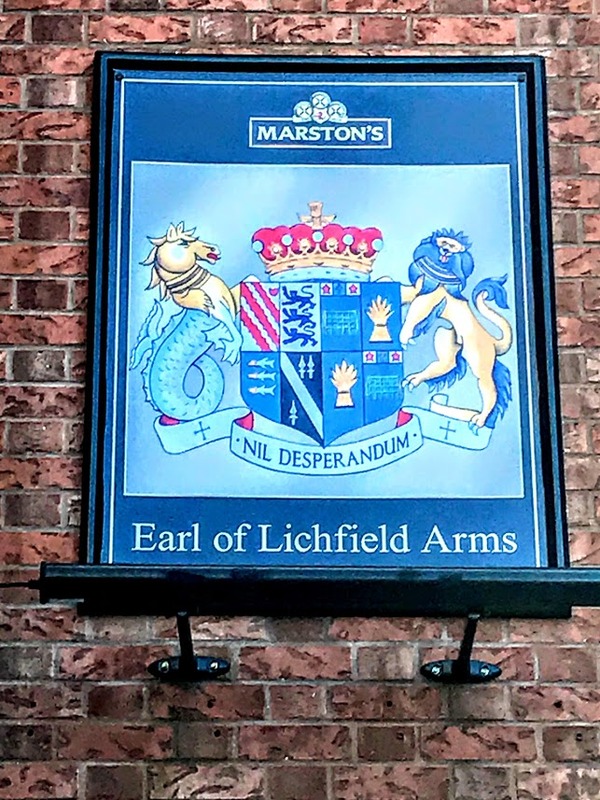 The Earl of Lichfield Arms, owned by Marston’s brewery, is said to date from the 18th century. When it was built, Conduit Street was known as Butchers’ Row. The old name of the pub derives from the time in the 1830s when this pub on what was then known as Butchers’ Row was used by army sergeants to drum up recruits. Later in the 1830s, it was known as the Masons Arms and was run by Frances Middleton. 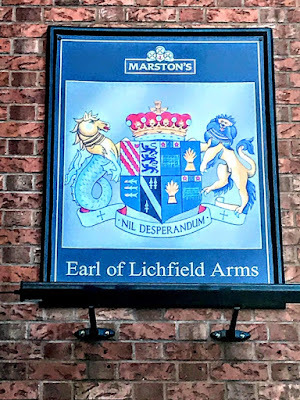 By the 1840s, the premises had been bought by the Anson family, Earls of Lichfield, and was renamed the ‘Earl of Lichfield Arms’. Frederick Marshall was running the pub in the 1861-1896, and George Burden was the licensee in 1906-1940. Burden was also a tailor, and in 1916 he was fined £2 for having a faulty weighing machine that belonged to Lichfield Corporation and for which he was the toll collector. Like the Scales on Market Street in 1930s, the pub was threatened with closure in the 1956 when the licence was reviewed. But the Drum survived and when the barber shop next door was acquired in the 1970s, the pub expanded, so that it still has two different floor levels. Since 1952, this has been a Grade II listed building. It dates from the late 18th century, although the projecting part of the front was rebuilt in late 20th century in replica. The pub is built in brick with ashlar dressing, with a tile roof with brick stacks. This is a three-storey building, with a single-window range to the left and a single-window range projecting to the right in the rebuilt front. There are 12-pane sash windows with gauged brick lintels and six-pane sashes on the second floor. The entrance is under the arcade, with a panelled door. The ground floor has a large two-light fixed window to the left of the entrance and a shop-type window to the left, with a richly consoled facia and three round-headed lights. Inside, there are chamfered beams and some exposed timber-framed cross walls. But which Earl of Lichfield is the ‘Drum’ named after? The title of Earl of Lichfield has been created three times, twice in the 17th century (1645 and 1674) and once in the 19th century (1831). The third creation is still extant and is held in the Anson family. The title was first given by King Charles I to his namesake Charles Stewart (1639-1672), when he was made Earl of Lichfield in December 1645. Originally, Charles I planned to give the title to Lord Bernard Stewart (1623-1645), youngest son of Esmé Stewart (1579-1623), 3rd Duke of Lennox, as a reward for his actions at the battles of Newbury and Naseby in the English Civil War. However, Bernard Stewart died before he was given the title. Instead, the title was given in 1645 to his six-year-old nephew Charles Stewart (1639-1672). This Charles Stewart, who became Earl of Lichfield in 1645, later succeeded as 3rd Duke of Richmond and 6th Duke of Lennox in 1660. He married Frances Teresa Stuart, the celebrated beauty and alleged former mistress of his cousin, King Charles II. King Charles seems to have been upset by the loss of one of his mistresses, and sent the duke into exile as ambassador to Denmark. There he drowned in Elsinore on 12 December 1672. He had no children; most of his property to his sister Katherine, wife of Henry O’Brien, Lord Ibrackan, while the title of Earl of Lichfield died with him. His death in 1672 long precedes the Earl of Lichfield Arms in Conduit Street, so the pub cannot be named after him. The Earl of Lichfield Arms on Conduit Street dates from the late 18th century. 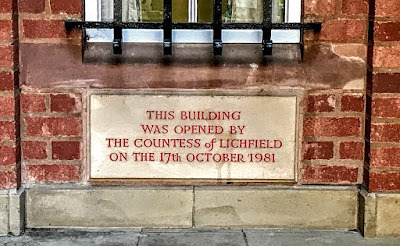 If the name adapted in the 1840s had been traditionally associated with earlier Earls of Lichfield, then could it have been linked with a second version of the title that survived for over a century from 1674 to 1776. 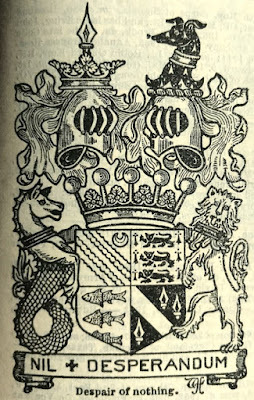 The title of Earl of Lichfield was revived in 1674, two years after the original earl drowned in Elsinore, when Charles II gave the title to Sir Edward Lee (1663-1716) of Quarendon in anticipation of his marriage to the then 10-year-old Lady Charlotte Palmer, later Lady Charlotte Fitzroy (1664-1718), the illegitimate daughter of the king and his mistress, Barbara Villiers (later Palmer), Duchess of Cleveland. They were married three years later in 1677, when Charlotte was still only a 12-year-old, and they had 11 children. Their house in London, known as Lichfield House, was later incorporated into No 10 Downing Street, but they abandoned this house when they followed James II into exile in France. The first earl’s eldest surviving son, George Henry Lee (1690-1742), became the 2nd Earl of Lichfield and built the stately home of Ditchley in Oxfordshire. His brother, Robert Lee (1706-1776), was the fourth and last Earl of Lichfield in the Lee family. He had no children, and when he died in 1776, the title of Earl of Lichfield died out once again, while the representation of this family passed to his niece Lady Charlotte Lee (1724-1794), eldest surviving daughter of his brother George, the second earl. Two years earlier, in 1774, Lady Charlotte had married a celebrated Irish general and exile, Henry Dillon (1705-1787), 11th Viscount Dillon of Costello-Gallen, Co Mayo. 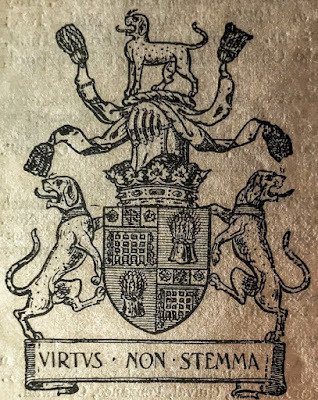 Henry’s father was Colonel Arthur Dillon (1670-1733), a son of the seventh viscount, a Jacobite colonel in Ireland and the founder of the Dillon Regiment in 1688. 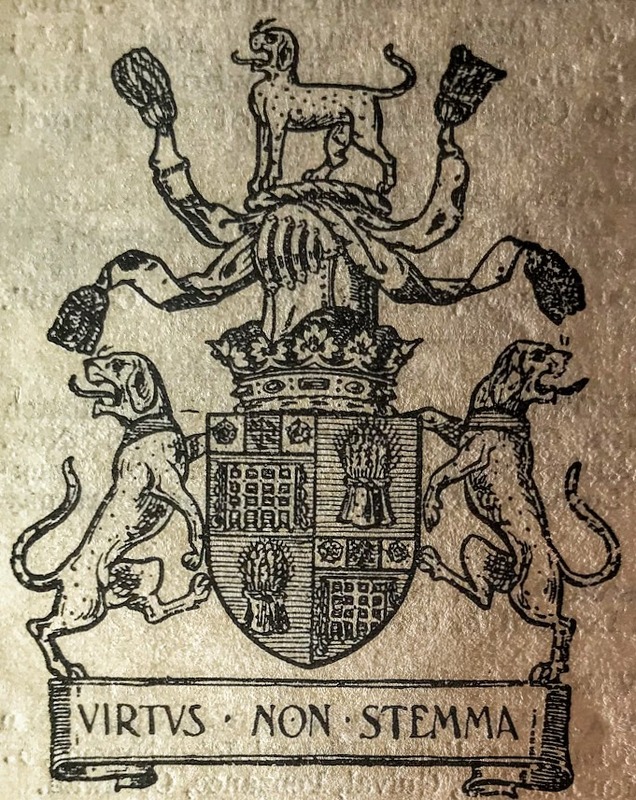 In 1711, Arthur Dillon was made Count Dillon in France, and Earl of Dillon in 1721 by the ‘Old Pretender,’ James Francis Edward Stuart, the Jacobite ‘James III.’ Henry’s paternal grandmother, Mary Talbot of Templeogue, Dublin, was a daughter of Sir Henry Talbot of Templeogue Castle. Henry Dillon was a colonel in Dillon’s Regiment in the French army. He moved from France to England, and in 1744 he married Lady Charlotte Lee. In 1767, he conformed to Anglicanism to regularise his position in England and to ensure the legitimacy of his children. Lady Charlotte died on 11 June 1794. The children of Henry and Lady Charlotte Lee included Charles Dillon-Lee (1745-1813), 12th Viscount Dillon, who inherited the Ditchley estate but not the Lichfield title. He changed his name from Dillon to Dillon-Lee under the terms of the will of his uncle, George Henry Lee, 3rd Earl of Lichfield. The Dillon or Dillon-Lee family also held vast estates in Ireland, including Loughglynn and Coolagarry, near Frenchpark, Co Roscommon. 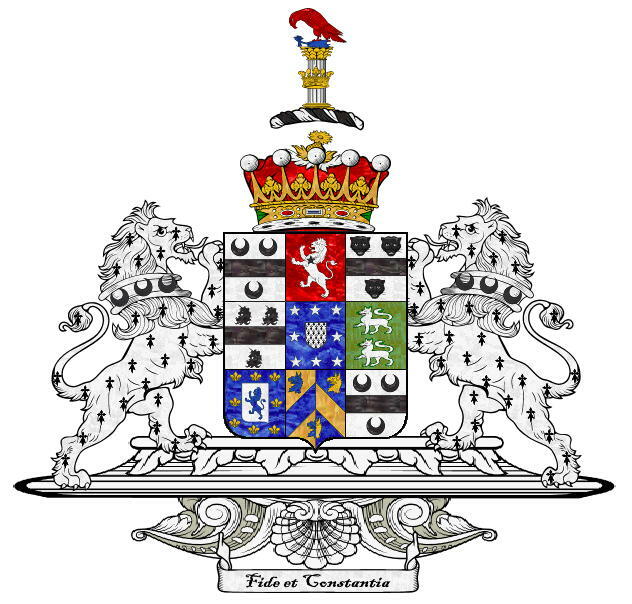 In 1876, Theodore Dominic Geoffrey Dillon-Lee (1811-1879), 15th Viscount Dillon, owned 83,749 acres in Co Mayo, 5,435 in Co Roscommon and 136 in Co Westmeath. His nephew, Harold Arthur Lee-Dillon (1844-1932), 17th Viscount Dillon, sold his estates in Co Mayo and Co Roscommon, totalling 93,652 acres, to the Congested Districts Board in 1899. Ditchley remained the home of the Dillon family until 1934. However, the association of the Anson family with the pub from the 1840s probably means the name of the pub is dates from some time after the title of Earl of Lichfield was revived for a third time in 1831 when Thomas Anson (1795-1854), 2nd Viscount Anson. He lived at Shugborough Hall, about six miles east of Stafford and 15 miles north-west of Lichfield, and was made Earl of Lichfield at the coronation of William IV. Later he was Postmaster General, overseeing the introduction of the penny post. But he was also a gambling addict and accumulated massive debts. To clear his debts, he sold most of the contents of Shugborough Hall and Lichfield House at 15 Saint James’s Square, London, and moved to the Continent. He returned to England in 1847, but Shugborough remained empty and shut up. When Thomas George Anson (1825-1892), succeeded as 2nd Earl of Lichfield in 1854 he sold Lichfield House in London and used the proceeds to redecorate and refurnish Shugborough Hall. His youngest brother, the Right Revd Adelbert John Robert Anson (1840-1909), was Bishop of Qu’Appelle (1884-1892) in Saskatchewan, Canada. When he returned to England, he became Master of Saint John’s Hospital, Lichfield (1893-1898), an assistant bishop of Lichfield, and Chancellor of Lichfield Cathedral. 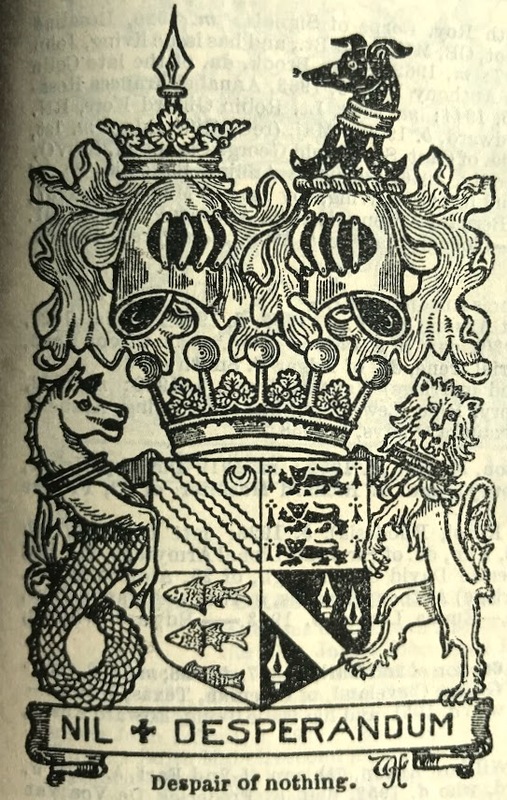 The Lichfield title continued to descend from father to son until the death of Thomas Edward Anson (1883-1960), 4th Earl of Lichfield. He was succeeded by his grandson, Thomas Patrick John Anson (1939-2005), 5th Earl of Lichfield, the photographer known professionally as Patrick Lichfield. In 1975, Patrick Lichfield married Lady Leonora Grosvenor, elder daughter of the 5th Duke of Westminster. 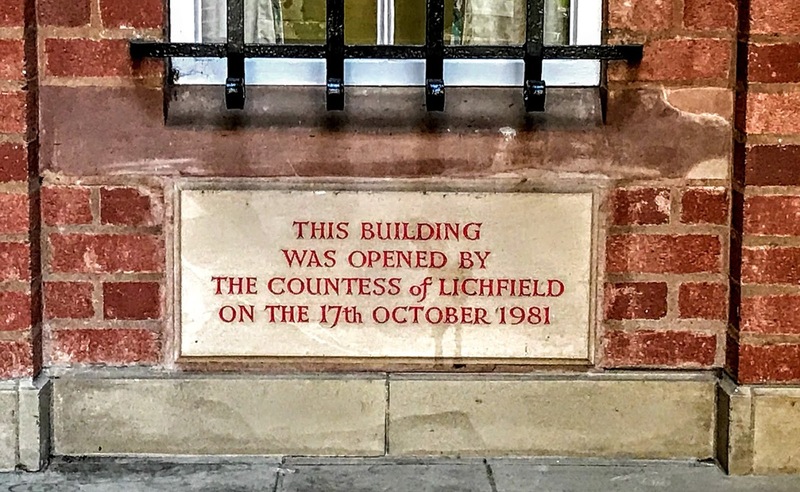 She is remembered in a number of monuments and plaques that bear her name in Lichfield. The couple were divorced in 1986; he died on 11 November 2005 and was buried in the Anson vault at Colwich. His son and heir, Thomas William Robert Hugh Anson, 6th Earl of Lichfield gave up the family flat in Shugborough, ending his family’s connection with Staffordshire after nearly 400 years. In 2009, he married Lady Henrietta Conyngham, daughter of Henry Conyngham, 8th Marquess Conyngham, known popularly as Henry Mountcharles. Henry Mountcharles is famous for the open-air rock concerts organises at his home Slane Castle in Co Meath. These concerts have included performances by the Rolling Stones, Thin Lizzy, Queen, U2, Bob Dylan, Bruce Springsteen, David Bowie, Guns N’ Roses, Oasis and Madonna. The present version of the coat-of-arms on the walls of the Earl of Lichfield are those of the Earl of Lichfield on the left, and the Grosvenors of Westminster. An earlier photograph of the pub from the early 1970s shows no heraldic plaque in this place on the walls of the pub. So, this sign is recent and it dates from the 11-year period 1975-1986. Photographs from earlier decades showing earlier arms of the Earls of Lichfield might help in telling the tale behind the name off the Drum. This is a very interesting piece of work. I would like to put up a contrary theory about the colloquial name. I have been told I think by the Historian Howard Clayton that the name came form the boy from the stone yard attached to the Cathedral who was delegated to collect the stone masons lunch from the pub. Because the masons would often give the lad insufficient money for their food he was obliged to try to 'Drum Up' the extra money from passers by. This may not have the romantic appeal of the soldier-boy, either drumming up recruits or, and this is yet another explanation that I have heard advanced, recalling soldiers billeted in the town when the curfew time arrived. I hope this provokes further interest.